Proof: Obama Refused to call Benghazi “Terror” CBS Covered Up? 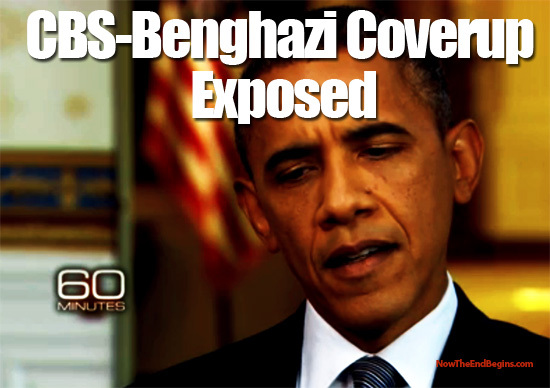 Proof: Obama refused to call Benghazi “Terror,” a CBS covered up? CBS finally posted a critically important segment of the 60 Minutes interview with President Obama conducted on September 12, a full 54 days after the terrorist attack in Benghazi, Libya. Was it deliberately edited and/or did the major news outlet commit negligence to the American people? This is an example of how the MSM is in bed with Obama’s reelection. This alone should be a deciding factor not to vote Obama, Nov 6, 2012. Again, the powers of Obama took down the previous videos of just the edited clip. Now Obama and CBS wants you to hear 3 minutes of the exchange. Never trust the MSM and Obama. Still, after POTUS reelection they are still taking down videos if CBS editing failure. It is Nov 10th. We have No truthful media reporting in the US any longer.